As one cruel but accurate joke puts it, Ralph Miliband devoted his life to making the theoretical case for the proposition that Labour has nothing to offer the working class. David Miliband has devoted his life to proving it. For readers of NME I am happy to confirm that Pete Docherty and I are not the same person. Thanks David. I wasn’t about to make that mistake, actually. 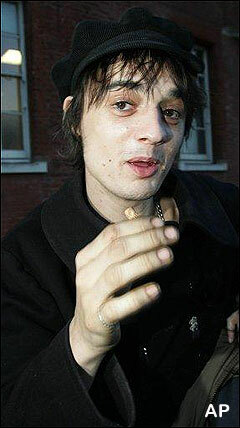 I can only presume that talk of ‘Pete Docherty’ is actually a reference to Pete Doherty, the junkie singer of Babyshambles fame. More evidence of Labour politicians attempting to associate themselves with rock ‘n’ rollers, only to make themselves look foolish in the attempt.